CHICAGO (WLS) -- A coyote is making a West Side neighborhood his new home. 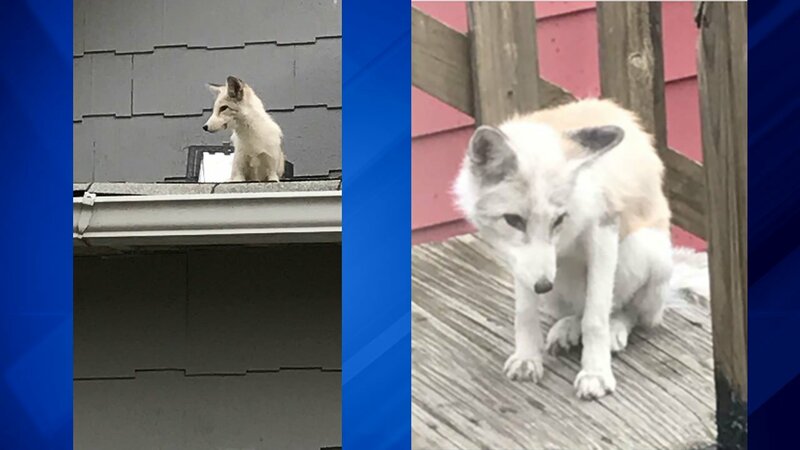 The animal has been hanging around a house in the 5400-block of West Augusta in Chicago's Austin neighborhood, local residents said on Sunday. Most of the time, the coyote sits on the roof of a home, neighbors said. Animal Control and the building owner have been called. Meanwhile, one Chicago suburb is fed up with coyotes roaming their streets and attacking small dogs. Grayslake police are hiring trappers to remove coyotes after receiving a surge of reports, according to the Daily Herald.